Fine, here’s what happened to Andy’s dad. A few months ago, I argued the theory that Andy’s mother is actually Emily, the girl who originally owned Jesse in Toy Story 2. The post quickly went viral, as many people began debating whether or not this is true, intentional, etc. You see, I love talking about theories like Andy’s mom and how all of the Pixar movies are connected because that’s tons of fun to think about. Andy’s dad? That’s just…well, you get it. But I can see that a lot of you want to know anyway, and it’s really not that complicated. In fact, this is one of the few theories about Toy Story that I can confidently say is totally intentional. Of course, you can argue that he died a long time ago, and the family has forgotten about him already. But if that’s the case, then how do you explain the fact that Molly (Andy’s younger sister) is a baby? He would’ve had to have died recently in order for her existence to be possible. To strengthen that point, Andy’s mom is spotted without a wedding ring at Andy’s birthday party in the first film. If Mr. Davis had died recently, then she would probably still be wearing it. But don’t you think the creators of Toy Story intended for this to be clear? In this case, the simple explanation is the more likely. 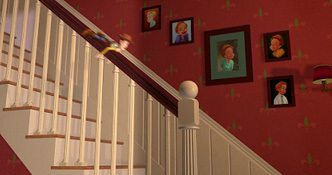 After all, the family is moving from a bigger house to a noticeably smaller one in Toy Story, which signals that Andy’s mom is having financial trouble. If she and Mr. Davis were getting a divorce, then he would at least be paying child support, but the family still has to make some sacrifices. Oh, and the family gets a puppy. That’s pretty much the king of single mother clichés. 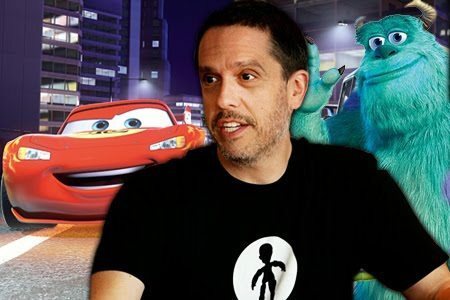 The “deadbeat dad” theory also explains why Andy is so deeply connected with his toys, especially the masculine figureheads depicted by Woody and Buzz (who are both authoritative models as a “sheriff” and a “space ranger”). What seems like a petty rivalry between two toys vying for Andy’s affection is really an allegory that Andy is playing out in his mind. In the end, their reconciliation and eventual friendship is symbolic of Andy coming to terms with only having his mother around. 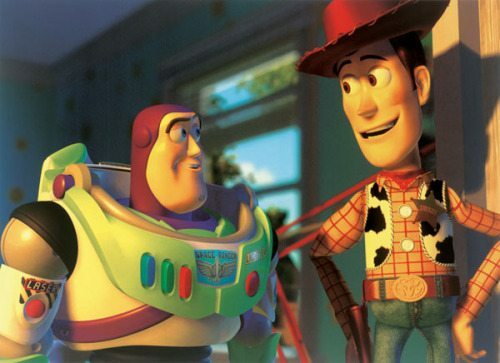 Woody is the “old” father figure that represents where Andy really comes from, while Buzz is the “new” future he has to get used to. It’s no wonder Andy is going through emotional whiplash as he has to face the absence of his father and having to move to a totally new house within such a limited amount of time. Now, if you’re a fan of my theory of Pixar movies and the Pixar Detective novel, then a fun way to interpret this is by noting how Woody and Buzz are essentially “programmed” to make Andy happy. 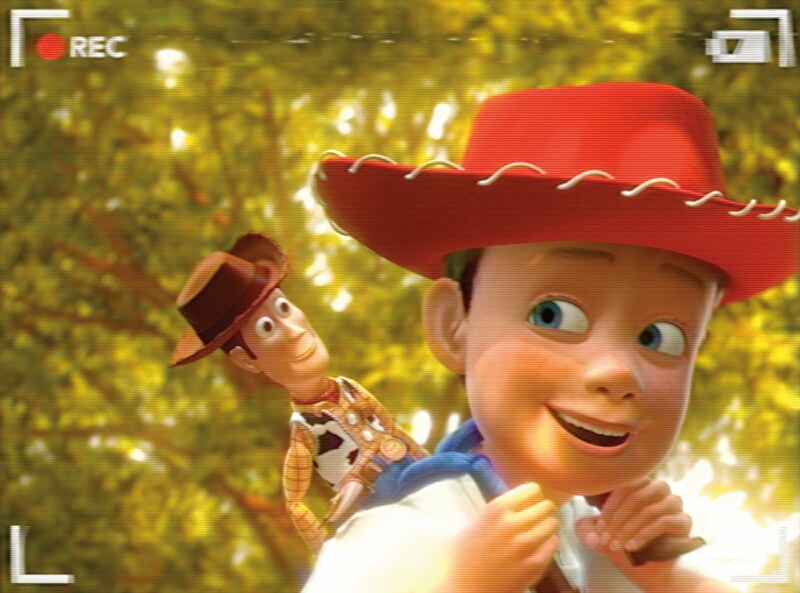 They may notice that he is torn by his old life and the new one that is being forced upon him, prompting Woody to obsess over making sure Andy still has a connection to his old life, while Buzz is the “oblivious” future that just happens upon Andy without him knowing it. Ultimately, this explains why Andy is so deeply immersed with his toys, and it’s a theme that Disney is no stranger to. In many Disney and Pixar films, the main characters are brought up without one or both parents. Movies like this include Up (Russell’s father left him), Tangled (Rapunzel is raised by an evil fake-mother and Flynn is an orphan), Frozen (both parents pass away), A Bug’s Life (Dot and Atta only have their mother), The Princess and the Frog (her father dies early on), Aladdin (Jasmine’s mother is never mentioned and Aladdin’s father is estranged until the third film) and I could go on and on. The simple explanation for this is that many people suffer from broken homes during their formative years, and it’s been reflected in both literature and moviemaking for as long as they’ve been around. It should be no surprise that a fun film like Toy Story has an undercurrent of sadness and (dare I say it) reality lingering in the background. Also, it’s been a tradition for movies and even TV to stray from having both parents onscreen in order to prevent alienating single parents who take their kids to go see movies. Ouch, right in the heart. But that definitely doesn’t mean they didn’t pepper in a few clues that hint at Andy’s father being a deadbeat. That most easily explains why he truly isn’t necessary for the Toy Story movies, especially to the characters who moved on without him. So here it is in a nutshell. Andy’s father most likely walked out on the family, which led to Andy’s mother deciding to relocate to a smaller house to save money and (hopefully) move on from the painful memory. She has removed any pictures she has of him, along with her wedding ring, and the father is never mentioned or seen, even in Andy’s graduation photos. 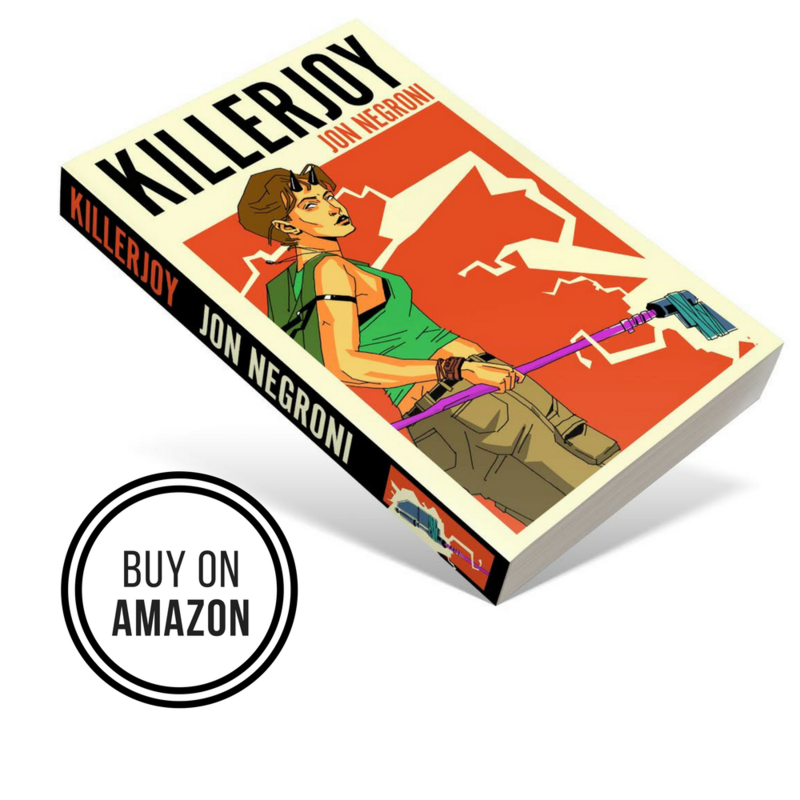 It’s sad and kind of depressing, but inevitably pointless to the story, which is really about a boy and his toys that somehow come to life and compete for his love and imagination.